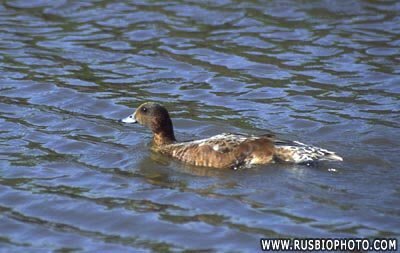 with a bluish bill with black tip. 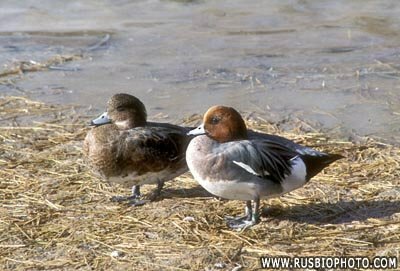 Wigeon breed in Scandinavia and northern Russia but winter further south in Europe, Asia and Africa. 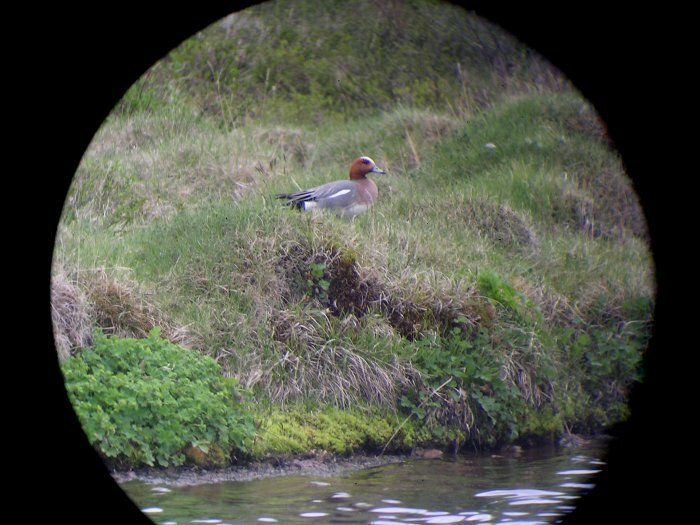 In Britain some birds are sedentary both breeding and wintering there but many more northern birds also winter there. 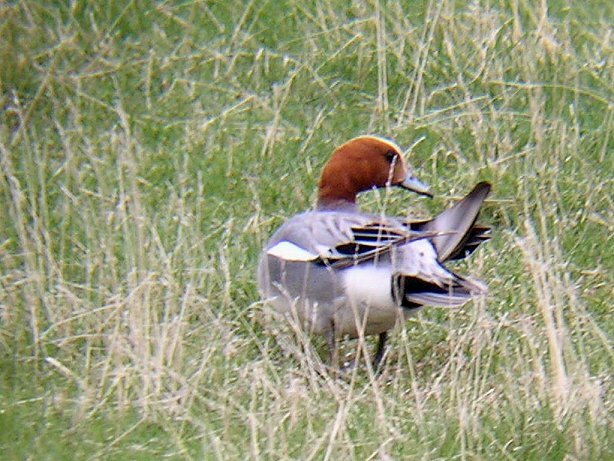 Largely vegetarian, wintering Wigeon are often to be seen grazing on dry land. 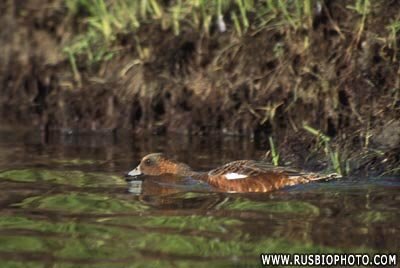 Before they lay their eggs, wigeons are often aggressive to other pairs, unlike most other ducks. 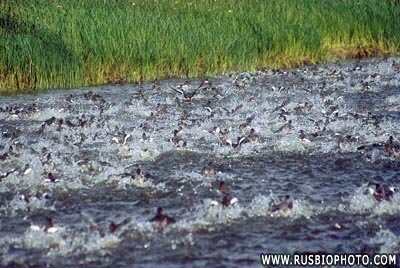 Other females are chased away. 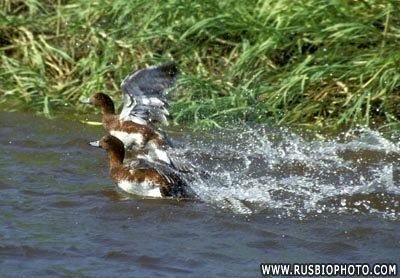 After the chickens come, the wigeons are social, and it is a commen feature that several couples are joining together in large groups. 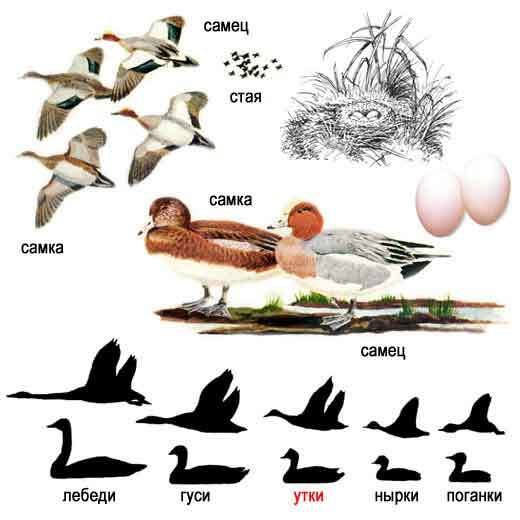 Later they depart, and often the chicken then follows some other female than their own mother.